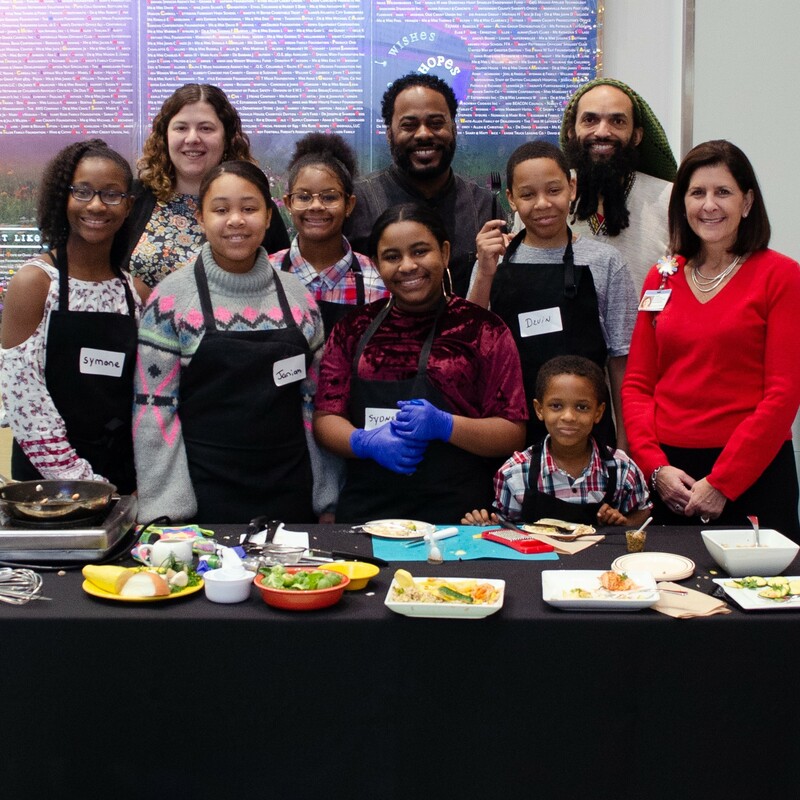 Gem City Market Board President Amaha Sellassie, Board Member Lela Klein, and engaged member Chef Anthony Head joined Dayton Children’s Hospital President and CEO Debbie Feldman and a group of kid-chefs ages 6-15 for a “Kids Cookoff” on December 28th. The cookoff was held to celebrate a new partnership between Dayton Children’s and the Gem City Market to improve community health by ensuring access to healthy food in West and Northwest Dayton, and to make nutrition education and culturally appropriate cooking instruction available to children and families throughout Dayton. The kid-chefs prepared healthy whole foods, and impressed those in attendance with their technique and flavor combinations. The event was inspired by an earlier event held by the Urban Uplift Outreach Center in West Dayton.